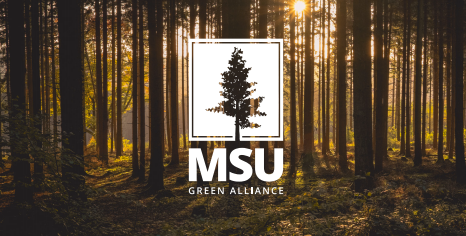 BAM (The Bat Association of MSU) is proud to have joined the MSU Green Alliance, a coalition of MSU campus groups who share similar goals of building a better, more environmentally minded campus. We are excited to be working in this coalition alongside these other amazing campus organizations! We look forward to helping build the environmental movement at MSU! The Climate Reality Project’s 100% Committed Campaign is dedicated to shifting awareness of climate change into urgent action by students at MSU. 100% Committed targets fortune 500 companies, cities, and campuses all across the country to commit to 100% renewable electricity by 2030. The Counter Cuisine Club aims to help students on a college budget discover alternatives to the industrialized food system through choices, preparation, and awareness. Engineers for a Sustainable World (ESW) is a non-profit network which focuses on creating solutions to local and global environmental challenges. We meet bi-weekly and bring in experts to talk to us about specific environmental topics. We engage in conversation about the environmental struggles our world faces, and what we can do about them. MSU LEAF Club is a group for leaders in environmental and agricultural fields. We are a network of students that work to educate ourselves and serve our community. Fall of 2017: As of September of 2017, we have set our sights on a new goal. We will be pushing MSU to move towards a carbon-neutral campus, one that does not rely on natural gas but instead renewable energies. Founded Fall 2017, Slow Food MSU seeks to create dramatic and lasting change in the food system. Our mission is to reconnect the East Lansing/Lansing community with the people, traditions, plants, animals, fertile soils and waters that produce our food. We seek to inspire a transformation in food policy, production practices and market forces in order to ensure equity, sustainability, and pleasure in the food we eat. Join us in asking President Lou Anna K. Simon to announce that the MSU community supports the decommissioning of the oil pipeline, Enbridge Line 5. We are a unique group in a network of environmental clubs on campus that focuses on making MSU a greener space for all to enjoy. Our goals focus on promoting campus sustainability with a variety of grant funded projects. Sustainable Spartans tackles issues involving renewable energy, improved water quality, environmental education, and many more.